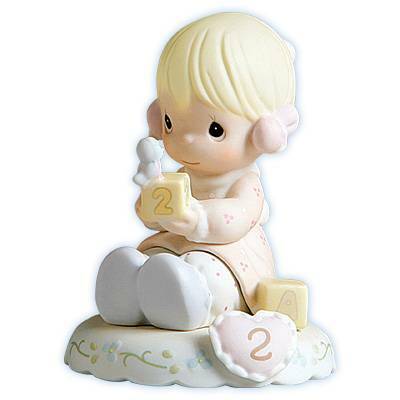 This addition to the Growing In Grace figurine series depicts a little girl playing with blocks. The blocks are letter and number. Age two and stands 3.0 inches tall.